We have two children, but our 3 year old is going off to preschool, so we would like to do a sharecare with our 15 month old girl, who is super fun and busy.Silvana is an amazing nanny, loving and sweet, and takes our kids on all sorts of adventures- to the zoo, to Recess, to dance classes, art classes, the Creativity Museum, to the Academy of Sciences and the Bay Area discovery museum. We have a super kid friendly house with a playroom and bedroom with two cribs, as well as a grassy backyard. Hours/days flexible, but ideally sometime 8:15-6:15 M-F. We are open to full time or part time shares. Silvana is bilingual in Spanish and English, and has many years of childcare experience. We are currently looking to join a share in our neighborhood or start a share. We are looking for 3-5 day a week, ideally Mondays through Wednesdays. We have an option for a nanny but are willing to join a share as well. About us: we are the outdoorsy types and would love our baby to spend a good amount of time outdoors when possible. We are tryin got limit screentime for our baby boy. He is a fun, easygoing guy and only cries if he needs something. Create an account to contact Carolyn! We are looking for a nanny share family. We live in Pacific Heights (Clay & Broderick). Start date, around 12/18/17. Hours, M-F, 8-4pm ish. Ideally share family would host, as my husband and I often work from home. 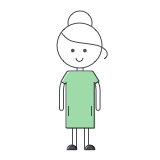 We have an amazing nanny to share who has infant to toddler + experience.